Just two years ago, my desk at work was located in a tiny corner of our CEO’s office. I was only the third employee at ScoutComms and we weren’t even big enough to justify taking over a second room in our building. Today, we’ve overtaken an entire floor of the historic building that is ScoutComms Headquarters and we’re quickly outgrowing this space (if we hire another person they may just find themselves sitting on the floor). In just two years, we’ve more than doubled in not only employees, but in clients, too. This summer has been one of tremendous growth and development for our team. Since July, we’ve added three new full-time Account Executives to the team. We’re thrilled that Allison, Kirstie and Danielle have joined our company and will help ScoutComms increase our impact on veterans and military families. In college, Allison completed internships with three nonprofits, Families First, Susan G Komen Central Indiana, and VoiceBox media. One of her closest mentors was a Vietnam veteran, and his story deeply inspired her to help make change in the military and veteran community. Allison currently supports our clients through social media management, writing, editing, media outreach, and much more. We can’t wait to see her continue to grow as part of our team! Danielle joined our team in August after graduating from Syracuse University with a degree in communication and rhetorical studies. Before making the move to ScoutComms, Danielle interned at the Institute for Veterans and Military Families at Syracuse University, assisting with their Veteran Women Igniting the Spirit of Entrepreneurship program. The IVMF is a long-time client of ours, and Danielle learned a lot about the major issues facing the military and veteran community by working there. Danielle also comes from a military family. Her father served in the U.S. Navy for more than 20 years and was deployed to the Persian Gulf in support of operations Iraqi Freedom, Noble Eagle and Enduring Freedom. We’re thrilled to have her on the team! 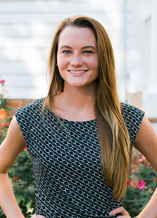 Kirstie Breland is the most recent addition to our account executive team, but she’s not new to ScoutComms. We’re proud to say that she has been a graduate student intern with us since January 2016. 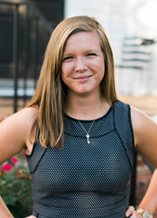 Kirstie is a master’s candidate at American University in health promotion management with a concentration in health communications, and was drawn to ScoutComms because of her interest in veterans’ access to mental health resources. 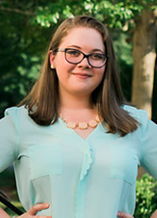 Kirstie comes from a deeply rooted military family; her father is a Navy veteran, her grandfather is an Air Force veteran, and her brother-in-law is currently on active-duty Navy. Kirstie has already supported many clients throughout her time here at ScoutComms. She has worked on projects ranging from communications audits, to analyzing trends in the sector, and raising awareness of events and opportunities for veterans and families.